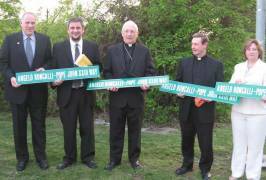 A moving ceremony where a street was named after Angelo Roncalli (later Pope John XXIII) took place in Peekskill, NY on May 6th, 2008. Angelo Roncalli saved Jews during the Holocaust by issuing baptismal papers and by personal protests. Later, as Pope John XXIII, Roncalli convened the Second Vatican Council, which finally acquitted Jews of Christ-Killing. Rabbi Claudio Kupchik of the First Hebrew Congregation of Peekskill started the initiative of the street-naming, while also having in mind a symbolic value of the street – it runs from the First Hebrew building to the Holy Spirit Parish. H.E. 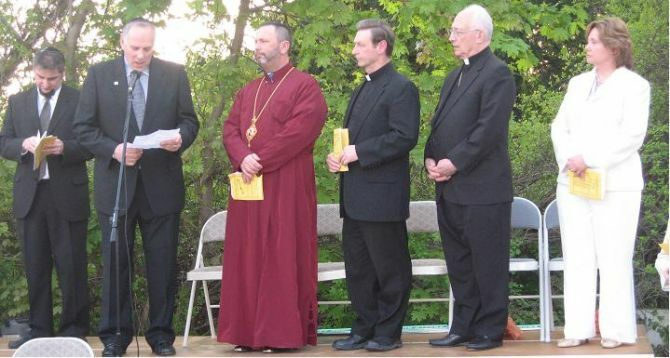 Mykhayil Javchak Champion, DD., MA Th.- Archbishop of New York, Ukrainian Autocephalous Orthodox Church, Bishop Robert Brucato – Auxiliary Bishop of the Archdiocese of New York, Fr. 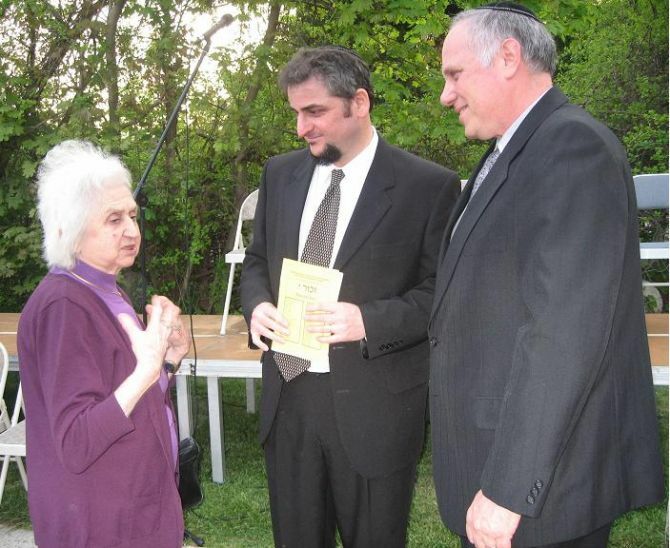 Thomas Kiely – Pastor of the Holy Spirit Parish, Rabbi Claudio J. Kupchik from the First Hebrew Congregation of Peekskill and Zvi Kichel from The International Raoul Wallenberg Foundation participated in the Ceremony together with the Peekskill Mayor Ms. Mary F. Foster. Ms. Rosen, the daughter of a survivor rescued by a Catholic priest joined other speakers. One unexpected speaker appeared in the event. Elizabeth Lubell approached the central stage as soon as she heard the name of Raoul Wallenberg mentioned. ”I was saved by Wallenberg!” she said. Rabbi Kupchik invited her to share her story, which she told, without any prior preparation. Ms. Lubell, as well as the crowd, was moved while telling her personal story of rescue.